American Auto Transporters is one of the largest, most trusted auto transport companies in the United States. They work directly with more than 2,500 different modern shipping carriers to ensure fast and efficient car transport services anywhere in the world. You can ship a car from state to state or purchase international car shipping services using American Auto Transporters. 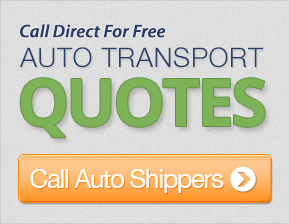 There are lots of cheap auto shipping companies out there, but that doesn't mean they are all dependable auto shippers. You want to make sure the car shipping company moving your vehicle is going to do so with the same care that you would take if you transporting the car yourself. American Auto Transporters is one company that will ensure your car will be delivered safely to its destination. Why Choose American Auto Transporters? American Auto Transporters will inform you of everything you need to know up front. That means they will make sure you are fully aware of all the terms and conditions that you need to know and will advise you of all the steps that you will need to take prior to the auto transport company coming to collect your vehicle. Whats more, American Auto Transporters will ensure that you have the right car shipping insurance in place when you make your move, which means that if anything should occur while your car is being relocated, you will be fully covered and will not be out of pocket. This sort of service is imperative, and is why so many people choose American Auto Transporters to ship their cars. Very helpful in expediting the shipment of the car to us. I have some other people who would like to ship their vehicles from the East Coast out to the West Coast. This would cover 7 or 8 vehicles. Thanks. Very reliable, professional and kind during a stressful time in my life. I highly recommend the service. The service was excellent and so was your driver. Thank you and if anyone needs a car transport you will be recommended by us. The driver was expectional and the car was transported in a very timely manner. Thank you. It was a pleasure to deal with your agents who were very helpful. I was not familiar with the auto transport process and your agent was very helpful and explained everything clearly. Most importantly, she quoted a reasonable, bottom-line price and was able to stick to that price about a month later when I was ready to ship. She was by far the friendliest sales agent I spoke with and I called a number of companies. So, lowest price and best sales agent. A Winner! My agent was very responsive. I was very pleased with the transporter as well. I will definitely recommend you. You were very competent and courteous. I would recommend you. Thanks! Helped me with all the questions and gave me all the information which I needed. I would definately recommend this transportation service to whoever is going to move. Very reliable. I had a good experience. Thanks for all your help. Transporters were very competent and responsible. Both pleasant agreeable people to work with. Thanks. Customer service was very good. Thank you very much. What I was quoted was exactly what I got. Thanks for a great job. I will tell anyone I know to call you if the need a car moved. Car was deliverd in excellent condition and quickly. Thanks. Would recommend this car carrier service to anyone. Very efficient, reliable and great customer service. Thanks! Very helpful - returned all calls right away. Very proffesional. Thanks! The driver who moved the car was professional and the car arrived immaculate. The only car mover I will use again. Thank you! The driver was awesome - very nice and professional. Thank you. I have had about 20 cars shipped over the years and this has been my best experience. I will use you guys again. Thanks. Thanks for all your help in this process. Very responsive and my rate quotes arrived quickly. I have used your company several times and appreciate all your help. I think your service was GREAT. The car was delivered on time and at a reasonable cost. I would recemend it to anyone. THANK YOU! My car was delivered sooner than I expected, which was a pleasant surprise. Everything was handled very professionally. The driver was courteous and polite and kept us posted via phone as to time and place of delivery. The service agent was so helpful in getting through the process. Thank you - I would highly recommend you to anyone in need of this type of service. Dispatcher explained exactly what I needed to know. She proptly called back to answer my questions. Thank you. The man who dropped my car off was very friendly, as well as the rest of the staff that helped me with my auto move. My car was also delivered very quickly. I was very impressed and the price was beyond reasonable. THANK YOU. I was very pleased with the service and responsiveness of customer service. This was a cross country trip and my car arrived within 2 hours of our arrival. How much better can you get?! Thank you again for the excellent service.